It wasn’t long ago when it was considered unethical for attorneys to advertise or to even design a website. Now lawyers are all over TV and the Web. This Philadelphia estate planning law firm asked Serkes Marketing to create a website. We kept the website design simple without being boring, straightforward without being boastful. 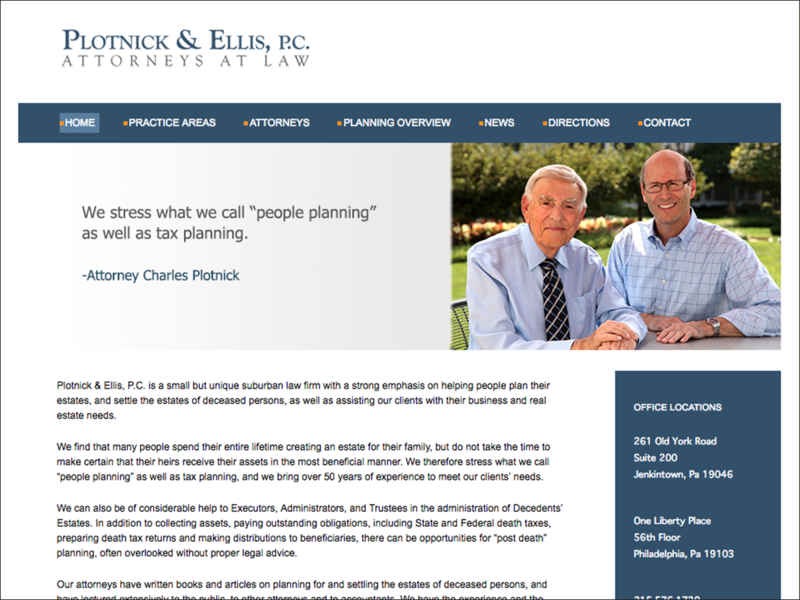 Plotnick Ellis website continues to work for the law firm.